Domaine Sainte Cécile du Parc was started by Stéphane Mouton and Christine Mouton Bertoli in 2005. They moved to the Languedoc in southwestern France in 2003 after living in Tuscany for several years. The previous owner of the property had sold his grapes to the cooperative winery in Pézenas, but new owners wanted to craft their own wines. As of 2013 the wines carry an organic certification. 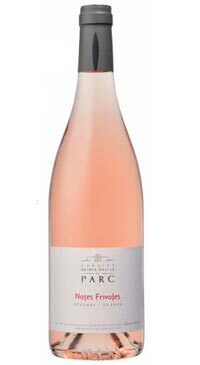 A Languedoc rosé made from Grenache, Cabernet Franc, and Carignan. Great depth of flavour, with bright fruit and acidity making it an excellent rose to pair with food.